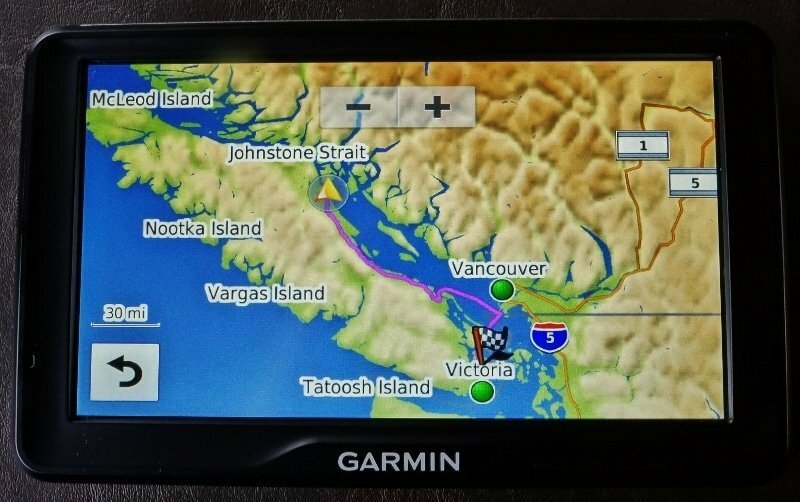 A Garmin RV GPS has been on the old RVing wishlist for a few years now, but with a price tag in the $400 range, I held off. We instead did our main navigation on our iPad. I would scout out our route options beforehand and load a course into Google maps. 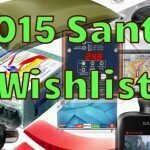 Why Did I Want a Garmin RV GPS? Even though we’ve managed to travel extensively without one, I knew having the Garmin GPS unit would improve our experience in multiple ways. First off, all the maps and data are loaded onto the device so an internet connection wasn’t required to navigate. Second, the simple, bright display is much easier for my old eyes to see versus an iPad or smartphone app. 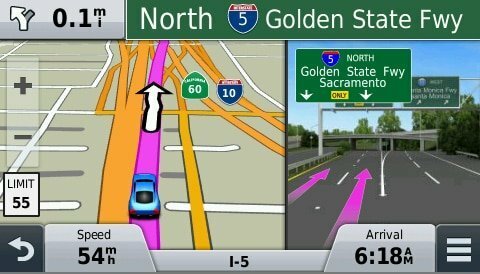 Third, the “lane assist” feature and the voice directions would be so handy in the major cities. Fourth, RV-specific routing based on our rigs size and weight. The Garmin name is well known for building GPS navigation equipment. 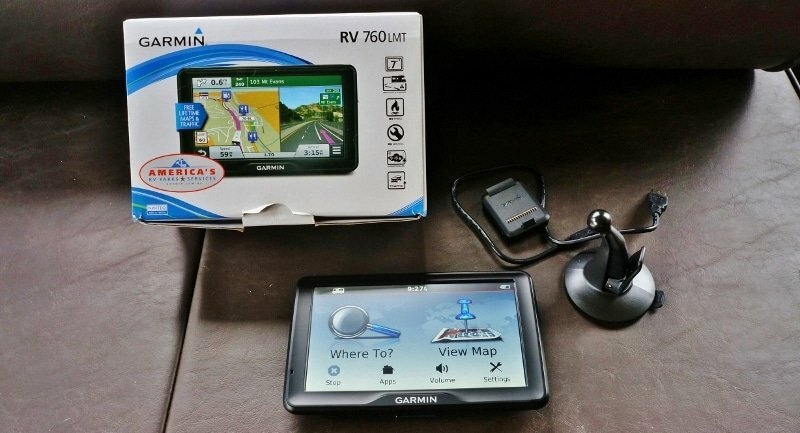 The Garmin RV 760LMT also came with free Life Time Maps, and Traffic updates so should be useable for a good long time. How Do I Like My Garmin RV GPS? Overall I’m super pleased with my Christmas gift. We had it for the bulk of our recent snowbird trip and used it extensively covering several thousand miles. For the most part, it was very accurate in its routing, with a few minor glitches here and there. No GPS can be fully trusted, but the Garmin did a pretty decent job of keeping us on roads suitable for our RV. I love the Garmin’s big display, and the voice directions are easy to make out even over our diesel pickup engine. I use it often to locate RV parks, campgrounds, local attractions, fuel stops, shopping, and restaurants. The longer we have it, the more we wonder how we did without it. Our iPad and most smartphones are hard to see in bright light. Not so with the Garmin RV 760LMT. It has plenty of brightness, and a matte finished display film for no reflections. Huge feature for me! 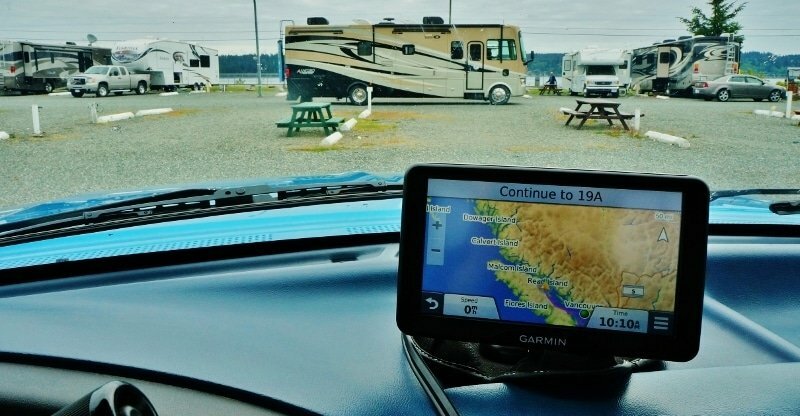 The Garmin RV GPS is preloaded with most RV Park locations in the US and Canada. However, we do a ton of dispersed BLM, forest, and other public lands camping. The Garmin can load up custom POIs (Point of Interests). Two I installed right away were the POIs from Ultimate Campgrounds and Allstays.com. Now I can get GPS directions right to my off grid boondocking locations. Most were pretty well bang on except for the Angel Peak Scenic Area in New Mexico. That route led us down a dirt road not suitable for fifth wheel travel. That wasn’t too fun and a reminder to not get too trusting of the GPS. It’s only an aid but not a replacement for old school research on a place. 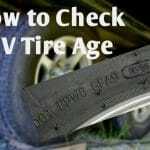 Another handy POI list I added was the extensive database of low bridges from the website LowClearances.com. I’m sure I’ll find others to add in the future. I’m impressed with the voice guidance system when it comes to upcoming turns. The language used to tell you what to do at the intersection is excellent. The Garmin knows if it is a stop sign, traffic light controlled or round about, etc. The default lady voice has a pleasant tone. One of the problems we faced using the iPad and Google maps for navigation was trying to figure out which lane to be in for a highway exit. Most exits are on the right, but it’s not uncommon for the exit to be on the left. Get it wrong, and you can be 4-5 lanes on the wrong side. The Garmin has its voice and visual cues to place you in the correct lane. On Interstate highways I noticed a photo of the exit pops up on the right side of the screen, cool! The speedometer feature was a pleasant surprise. I never realized I’d have current vehicle speed info and a readout showing the speed zone. I quickly found this was one of my most used features. My current speed will turn red when I’m above the speed limit. Down the road, it may save me from a ticket, especially in those small towns we travel through. Also, when approaching a school zone, it will double beep as a warning. When you leave the course, rather than berating you for it the Garmin just calculates a new route on the fly. This is helpful when you have accidentally missed an exit or a turn in a large city. This trip we I missed a highway onramp in Las Vegas, and the Garmin quickly got us back on our route. In the past, my wife would have to drag out the iPad and hope we could navigate ourselves back. Sometimes we’d end up with an unscheduled tour of the suburbs, haha. 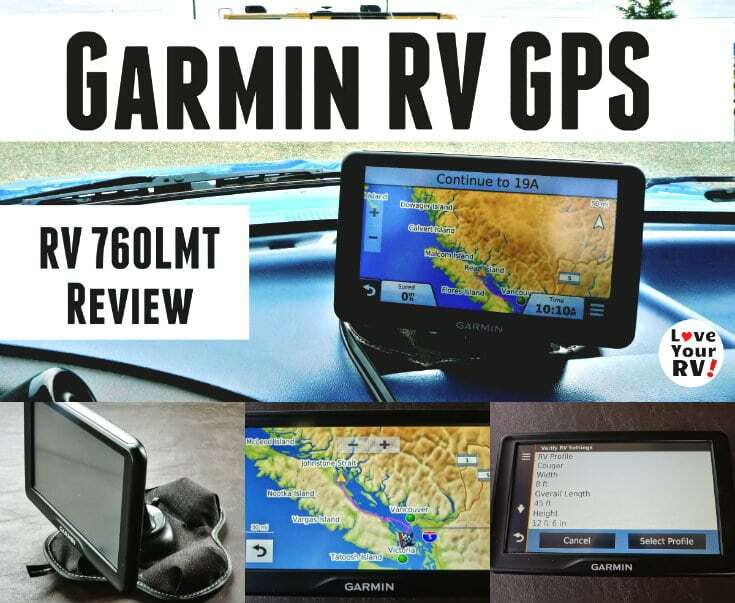 The Garmin RV 760LMT GPS has voice recognition software that can understand many basic commands for hands-free operation. 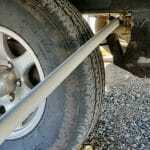 However, it was practically useless in our 1994 F350 Ford. It struggles to pick up our vocal commands due to the cab noise level at highway speed. With a newer truck or motorhome, it probably would work well, just not for us. I haven’t figured out how to turn off this annoying feature. The Garmin GPS will beep and indicate a sharp curve ahead and the approximate distance to it. That’s great when traveling long straight highways, but when traveling mostly curvy roads, it can get dang annoying. Like duh! I know there are curves ahead, stop beeping! UPDATE: I figured out how to turn it off. The option was hiding in the RV profile menu under “Audible Cautions and Advisories” Others are Risk of Grounding, Lateral Wind, Narrow Road, Steep Hill, Tree Overhang, State/Country Borders. I left them checked. I wish when I inputted a destination the Garmin GPS would give me several routing options to choose from like Google Maps often does. Sometimes I’d rather take a longer route for the scenery or to avoid city traffic. Garmin updates the software and map database every few months it seems. However, the file size is 6 gigabytes. 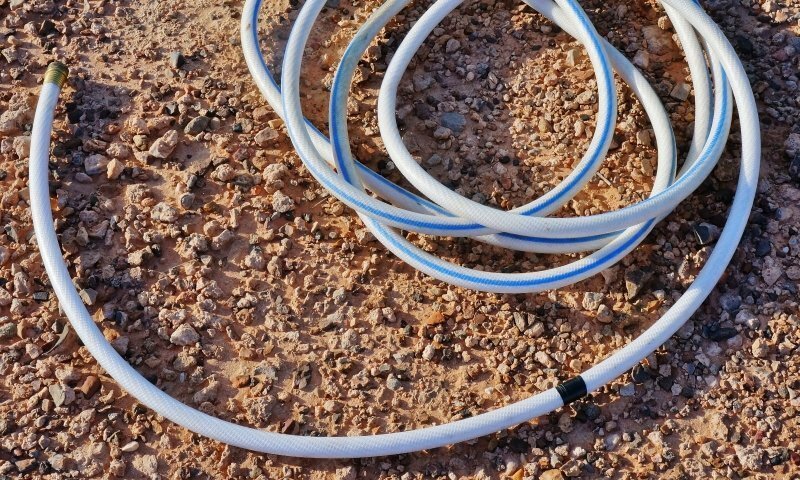 As traveling RVers, we are paying around $10 per gigabyte for data or staying in RV parks where there is no way you can download a file that big on the free WiFi. Updating on the road is either expensive or nearly impossible. The Garmon RV 760LMT came with a suction cup windsheild mount. I know by experience with my Garmin Dashcam that occasionally this mount falls off. 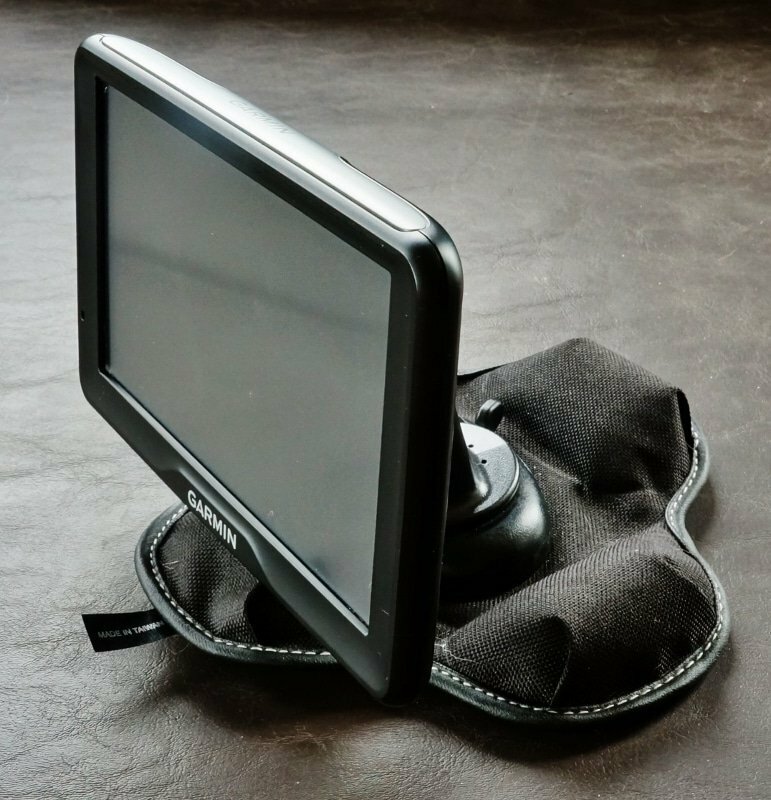 So, I ordered myself the optional Garmin beanbag mount to use instead and love it. Works like a charm. I can position it anywhere on the dash and remove it quickly and store it out of sight when away from the truck. 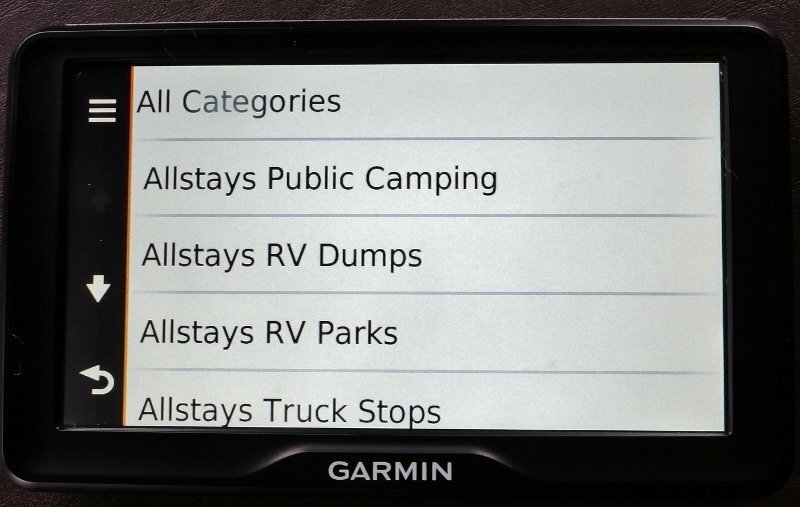 Well, those are my thoughts so far on the Garmin RV GPS after a few months of use. There are many more features I haven’t had time to dive into yet, though. For instance, a free program called Basecamp can be downloaded and installed on my laptop. With Basecamp you can chart out an entire trip then upload it into the Garmin. The Garmin GPS can connect to a smartphone app using Bluetooth allowing for real-time weather, live traffic info, traffic cam views, hands-free calling, etc.